To anyone taking their first look at it, they’d probably think it’s some weird invention out of Star Wars. Sleek, lengthy design, short and stubby wings… But, still something very curiously interesting. 46 years after the USAF brought it into service, the last Starfighter was retired in 2004 from the Italian Air Force. That’s one hell of a long life. The history behind the jet is chock-full of ups and downs. It was the brainchild of renowned Lockheed engineer Clarence “Kelly” Johnson, who designed it as a jet tailored to pilots. He visited and interviewed a number of fighter pilots about what they’d prefer in their aircraft and found that they were of the opinion that the Air Force’s mainstay at the time, the F-86, was outclassed by the Soviet MiG-15s flown by the North Koreans. They just wanted a smaller, nimbler and speedier airframe. Johnson immediately got to work. 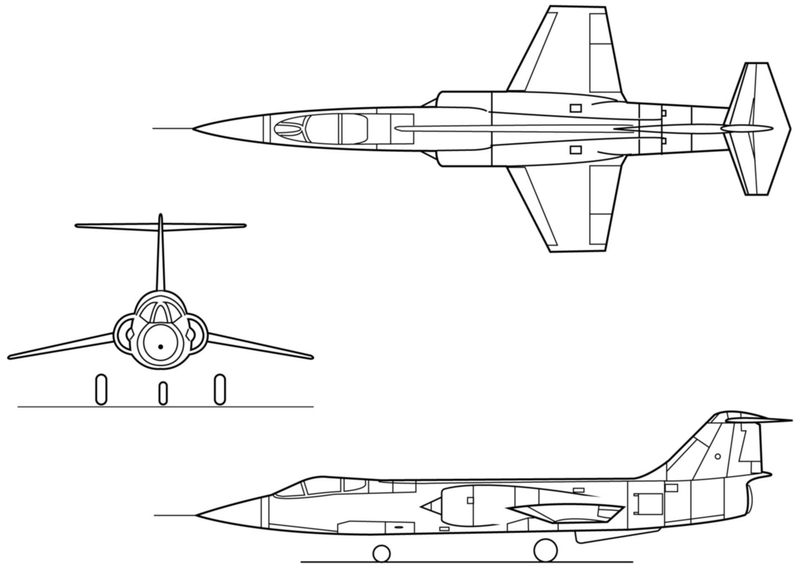 Initially, the XF-104 (experimental prototype) was shrouded in secrecy. The new aircraft was supposedly revolutionary, with an all new, much more powerful engine. It lacked something that was thought of as the convention for supersonic-capable jets: swept wings. Instead, it used a trapezoidal shape, determined by engineers at Lockheed to be ultra-efficient for high-speed fight. The wings were shortened, and extremely thin. In fact, the leading edges were razor-sharp. Ground crews had to install protective coverings over the wings before they went to work on the aircraft, lest they injure themselves by accident! The J79 engine was built to push the jet past Mach 2, which, at the time, made the Starfighter one of the fastest service aircraft in the world. Earlier models had a downward firing ejection seat. As some of you might’ve concluded, that wasn’t a good decision at all, and sadly it resulted in the deaths of 21 pilots, before it was replaced with a more conventional seat. 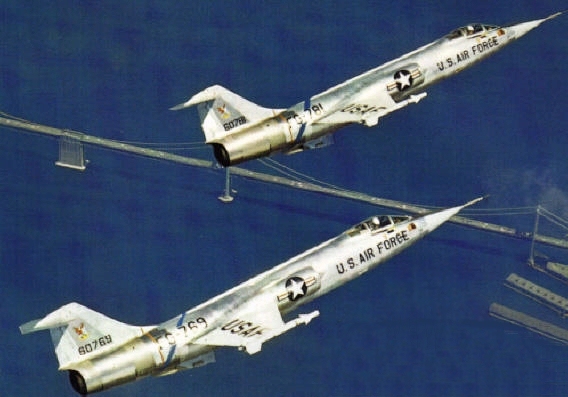 The F-104, for all its hype, had a large number of dark moments in its history. Of all the Century Series fighters in USAF service, it had the highest accident rate. In fact, the Royal Canadian Air Force lost over 50% of their Starfighter fleet and the Germans lost 30%. Oddly enough, the Spanish air force didn’t lose a single one! Pilots soon bestowed newer nicknames on it, like “Lawn Dart” or “Flying Coffin”. Nevertheless, the F-104 proved itself time and time again, by breaking and setting multiple records and holding open the door for newer, better fighters to take the skies. it is also good and simple solution to be found by your future consumers.